Wheel lift towing services are great for front wheel drive vehicles in need of affordable towing. They should only be used for front wheel drive vehicles since it's safe on the towed vehicles transmission when in motion. If you own a 4 wheel drive vehicle or rear wheel drive vehicle then it's advised you ask for a flatbed tow truck instead. KB Camarillo Towing has been the prime source for affordable wheel lift towing services for the Camarillo and Simi Valley area for well over a decade. Many have called to get their vehicles towed out of tight parking situations or low clearance areas since flatbeds can't get access. This is where wheel lift towing services come in handy. Give us a call anytime you need affordable wheel lift towing services in the Camarillo and Simi Valley area. 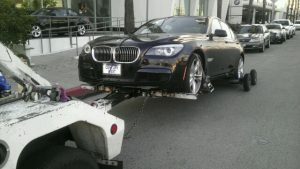 Our towing services are available 24 hours a day anytime you need it. We have tow trucks and roadside assistance vehicles ready to go within a moments notice. Vehicle issues can occur at any hour or minute of the day, most with no prior warning. 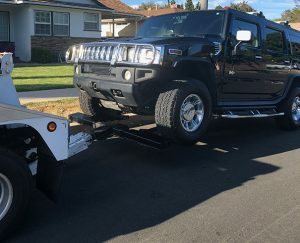 It is important that you have a reliable towing company to assist you anytime you need 24 hour wheel lift towing services in Camarillo and the Ventura area. Once you give us a call our phone operators will guide you through a few questions regarding your vehicles issues, location, and make/model. They will then send out the closest tow truck within your area that suites your current situation. All of our technicians have well over 10 years experience in the tow trucking industry and work fast. Once our technicians arrive to your location they will not hesitate and immediately get back to work. They will always show up on time or earlier than the ETA. This is very important if you're seeking expedited service and need to be somewhere on time. Give us a call anytime you are in need of affordable wheel lift towing services in Camarillo and the Oxnard area. Our phone operators are standing by to take your call 24 hours a day, 7 days a week.